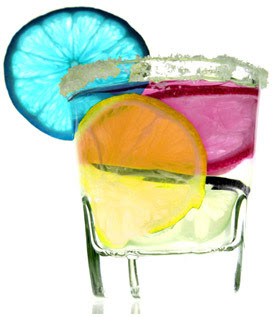 This delicious designer beverage was the result of a colour themed event in support of the Food Bank For New York. I like any charity event that supports Food Banks. Having worked for one I know the great, and incredibly important work they do. This event brought together designers and "mixologists" and explored how colour and flavour connect and determine how we taste and experience foods. Sounds like fun to me.